REDCap is a secure web application for building and managing online surveys and databases. While REDCap can be used to collect virtually any type of data (including 21 CFR Part 11, FISMA, and HIPAA-compliant environments), it is specifically geared to support online or offline data capture for research studies and operations. Using REDCap’s streamlined process for developing projects, you may create surveys, databases, or a combination of both using our Online Designer with your preferred web browser, or offline by constructing a data dictionary within Excel. REDCap accounts, training and consultation are offered to OSU investigators, faculty, and staff at no cost. Join Amy Drake, REDCap Specialist for Outreach and Education, for this workshop from the Center for Clinical and Translational Science. The CCTS provides financial, organizational (resource navigation, regulatory, recruitment, etc. ), consultative, and educational support to catalyze research that impacts human health and human behavior, as well as opportunities for community members to participate and engage in research. 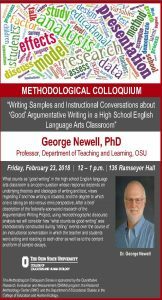 When: Tuesday, February 27, 11:00 am– 12:00 p.m.
Do you use materials from third party sources in your teaching or research publication? Have you heard that all educational use is fair use but have some concerns about whether this is accurate? How can you evaluate whether something may qualify as fair use or determine if you need to seek permission? Join Copyright Services during Fair Use Week to learn how to use copyrighted materials confidently and legally in your research publications and teaching. When: Thursday, March 1, 3:00 – 4:30 p.m. When: Wednesday, March 7, 3:00 – 4:30 p.m. Optional hands-on participation. Participants who bring a laptop computer will be able to connect to the supercomputers during the workshop. OSU wireless is available in the seminar room. OSC workshop accounts will be provided or you can use your own OSC accounts. When: Thursday, March 15, 1:00 – 4:00 p.m.
Are you interested in learning how to improve your assessment skills and exploring cutting edge research on the student experience? Join us for the 8th annual Student Affairs Assessment and Research Conference (SAARC) on Friday, June 8th, 2018 at the Ohio Union. We are very excited to announce that this year’s conference keynote speaker is Dr. Dafina-Lazarus Stewart of Colorado State University. We are welcoming a broad range of proposals related to student affairs research and assessment, but are especially interested in proposals related to our conference theme, “Giving Voice: Designing Inclusive Assessment” as well as proposals on unique data collection methods. Inclusive assessment refers to ways in which assessment or research is conceptualized, designed, analyzed and used to tell our students’ stories in a way that represents our diverse student populations. This conference is aimed at faculty, staff and students of all levels of experience, across a wide variety of departments. This is a reminder that we are accepting proposals until March 19, 2018 and are looking for presentations that represent diverse perspectives of student affairs. Registration is now open for the 8th annual Student Affairs Assessment and Research Conference! For questions or more information, contact Austin Simon (simon.517@osu.edu) or Liz Lubinger (lubinger.3@osu.edu). Copyright Services provides consultations on many copyright issues related to the use and creation of copyrighted content as part of research and teaching. We are available to help answer your questions on reproducing figures and text in your thesis or dissertation, sharing materials in your teaching, and understanding your rights as a copyright owner, including as part of the publication process. When: Friday, February 16, 10:00 a.m. – 1:00 p.m. Many funding agencies now require the submission of a data management plan along with a researcher’s grant proposal. In this session, we will discuss the information that researchers should be including in their data management plans. Participants will also learn strategies for creating data management plans with the online DMPTool, which walks researchers through a funding agency’s specific requirements and expectations. Join Sharon Sadvari, Data Services Specialist for Outreach and Education, for this hands-on workshop. 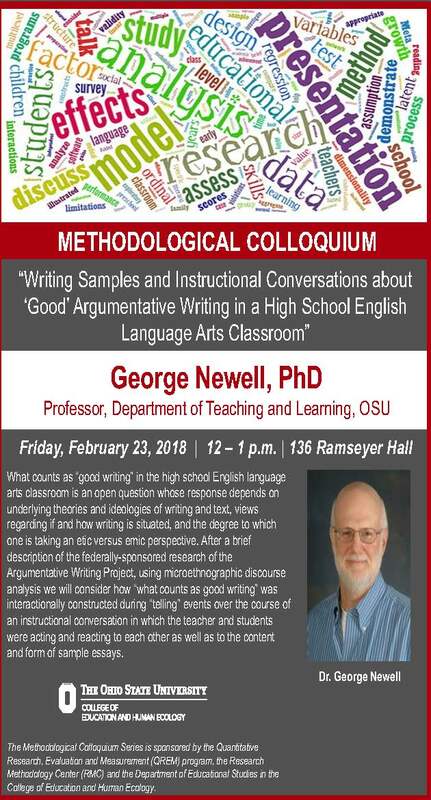 When: Wednesday, February 21, 3:00 – 4:00 p.m.
Where: Research Commons, 3rd floor of 18th Avenue Library. The Research Commons will be hosting a workshop series on some of the tools commonly used in creating data visualizations: Microsoft Excel, Adobe Illustrator, and Tableau. Workshops are interactive and participants should expert to learn the basics of using the specified tool for creating data visualizations. February 22, 11:00 a.m. – 12:30 p.m.
March 21, 5:00 – 6:30 p.m.
April 4, 5:00 – 6:30 p.m.
April 17, 5:00 – 6:30 p.m.
Join us for this interactive workshop on grant writing. We will address some of the similarities and differences between the funding processes for federal/state agencies and private foundations. 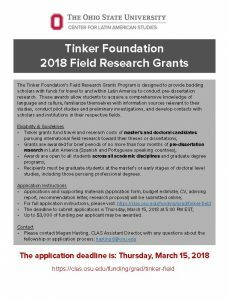 Topics include best practices for seeking funding, including the SPIN Funding Opportunities system and other funding resources, and examples of writing that is both persuasive and clear. When: Wednesday, February 28, 11:00 a.m. – 1:00 p.m.
We have news of an exciting data set from Julie Carpenter-Hubin, Asst. Vice President in OAA for the Office of Institutional Research and Planning (IR). 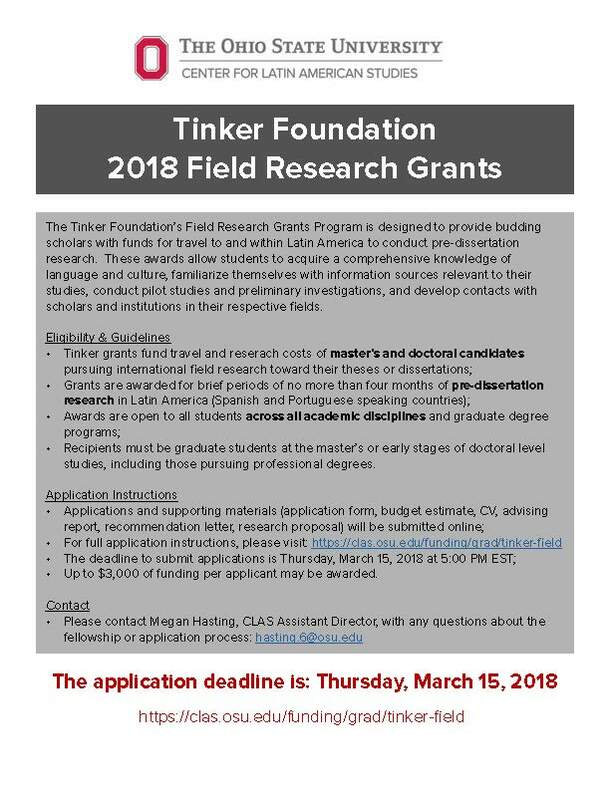 This data set could provide thesis or dissertation data or an applied project with cross-sectional and/or longitudinal components for graduate students interested in issues of student engagement. IR will be administering the Gallup Alumni Survey in April – this will be their third administration of it. 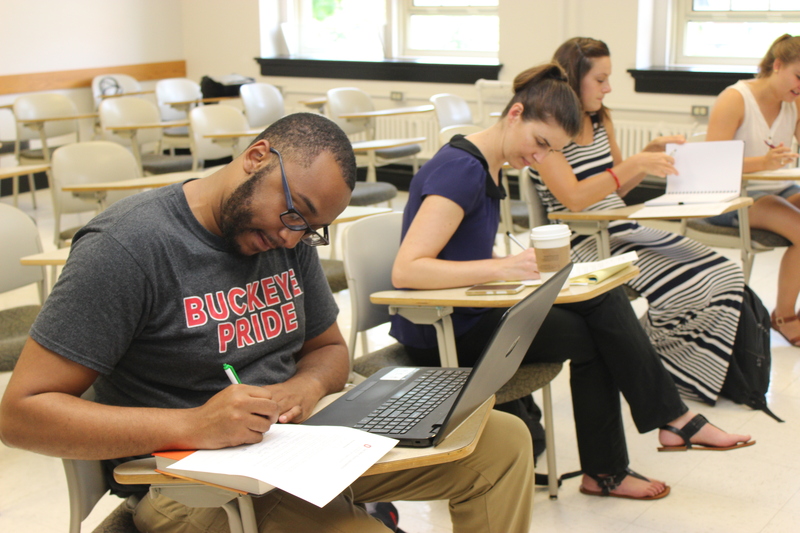 Gallup looks at the degree to which OSU graduates are engaged in their work, whether they are thriving in key aspects of well-being, and how they rate their undergrad experiences. IR will continue with surveying alumni 1-5 years out, which was done two years ago, but now they are adding all alumni who completed the National Survey of Student Engagement (NSSE) at some point in the past. IR started doing the NSSE in 2004 and they have administered it every three years, so there should be enough past NSSE respondents who also complete Gallup to learn how alums responded about engagement then and how they remember it and believe it affects them today. The 2004 NSSE survey instrument, and the means and frequencies report along with the Gallup survey instrument are attached. 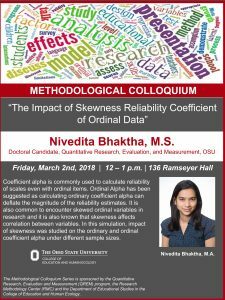 For more details, please contact Julie Carpenter-Hubin, Hubin.16@osu.edu. The Graduate Institute in Philosophy of Education aims to support and cultivate new scholars with knowledge and skills for future philosophical engagement with education. The course will focus on two themes: 1) values and evidence in educational policy-making and 2) ethics and teaching. Participants will be supported in developing a new paper in, or related to, philosophy of education. Students admitted into the program will have all travel, accommodations and most meals paid for at all events. Applicants for the program should be graduate students from schools of education or philosophy departments interested in pursuing questions of policy and practice in education. For more details, contact Abby Beneke at cee@wcer.wisc.edu or visit the CEE website.